Just noticed a new place that apparently is not open yet, but might be open already…according to their website. It’s another trailer, in downtown Austin. 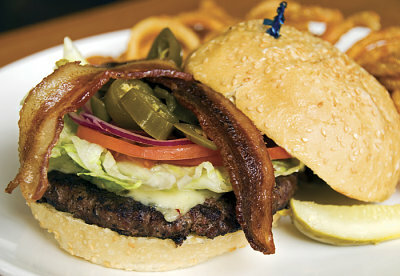 Pic here of one of their burgers “coming soon” according to a tweet. Unfortunately, I’m nowhere near downtown to check them out. But looks promising. I’m guessing the future reviews on the site are just placeholders as they get the site into shape. I tried emailing the address listed on the site to get more details, but the email bounced back. I live downtown and will try to check them out soon. Lambert’s BBQ has an interesting burger you may want to try some time.